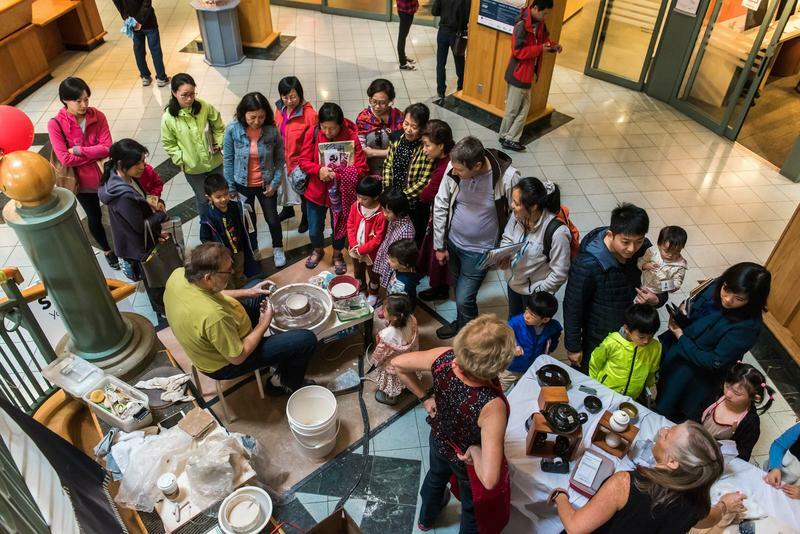 Held at šxʷƛ̓exən Xwtl’a7shn — formerly the Queen Elizabeth Theatre Plaza — the ninth annual Canada-wide Culture Days event brings together people of all ages in a celebration of arts and heritage. It is a “public participation campaign for the arts,” said Nazanin Shoja, the BC Culture Days manager. The performances ranged from an opera open mic led by City Opera Vancouver, to an Eastern Slovakian folk dance group — Vinica — who performed 300-year-old songs in 100-year-old costumes complete with a string quartet and a high-energy theatrical performance. Martin Mayer, often called “Canada’s Prince of Piano,” performed a mixture of Chinese melodies, a homage to Whistler and a Spanish flamenco guitar solo translated for piano. Mandy Rushton closed the night with a pop-culture cabaret and stunned us all with her impressive range, honed by years of experience in musical theatre. The intersections of performers was a wonderful sight to see. The Slovakian dancers grooved to Mayer’s music, and Mayer performed with Rushton impromptu in a beautiful rendition of Somewhere Over the Rainbow. There were also various arts activities, such as paper-maché creation with Jacqueline Quewezance, a makeup artistry demonstration with Chantal Joseph and a mini button blanket making session with Georgina Wing-Klem, among a number of other workshops conducted by First Nations peoples in the plaza and Indigenous art showcases across the city. “We hope to represent Indigenous communities as much as we can,” said Shoja. The hub felt like a safe and welcoming space for people to come together and share their heritage. Event participants echoed this sentiment, lauding the atmosphere created by the event. “What a beautiful space they’ve created here,” said attendee Michelle Koebke. Disappointed to not see many students present, I asked Koebke why she thought it was important for students to attend an event like this. “With it being a free event, it is very kind to students on a limited budget. Vancouver is so culture rich — it builds up the whole city!” she said.